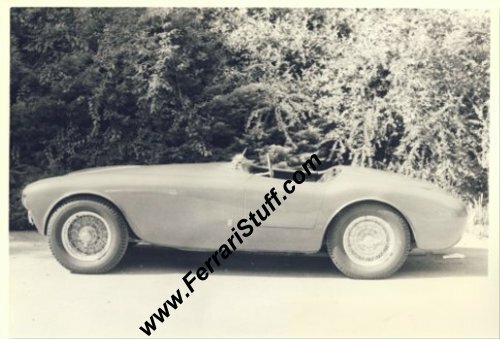 This is a vintage 1976 photograph which comes from the archive of the late Rob de la Rive Box and shows Ferrari 340 America Vignale Spyder S/N 140A in the shape in which he offered it for sale. Rob bought the car and sold it to a Belgian collector in 1976. The car now seems to be residing in the USA. The photograph is in mint condition. It measures some 17.5 x 12.5 cm or 7 x 5 inches and is glossy black & white.